Since 2009 Culture24’s Museums at Night festival has recorded on its database 2,555 arts venues taking part with more than 18,000 events held. It is this level of interest and participation that has led to Culture24 to look at ways to provide the framework for a more regular night time economy in museums and galleries, and probe the questions that surround how to make this work such as staffing and admission charges. They numbers appear to be impressive and Nick Stockman, campaigns manager at Culture24, says in the Culture of Lates report that in 15 years’ time that, if the support is there, ‘it could be as normal to walk through the doors of a museum at night as it is to enter a theatre’. However, Stockman also notes that when you dig down a bit deeper, one of the things that is particularly interesting is the number of venues that have consistently registered at least one late event as part of Museums at Night in the six years between 2011 and 2017 and that number goes down to 81. So, only 81 venues actually put on a regular late events every year during those six years. And he estimates there are 10,000 non-performing arts venues, covering everything from libraries, archives and museums, (of which some will have put on lates without registering with Museums at Night) that he feels could benefit from more support to open their doors after normal closing hours. This year Culture24, which became an Arts Council National Portfolio Organisation in April, has expanded its Museums at Night website (as well as created a new website: Museum Crush) so that it becomes an all year round resource for museum lates. As well as this, three reports, including the Culture of Lates, have been published. “Regularity was a big feature in the reports and one of the things that came out very clearly from the Culture of Lates report [which included interviews with museum and gallery programmers] was we want more opportunities to share knowledge and get together and learn from each other and also those from abroad,” says Stockman. He says the sector is really good at showing off good practice at annual conferences and shows but this would be the first time a conference would have a specific focus on after hours programming. Culture24 is partnering with the National Gallery, which will hold a panel discussion at the conference, and has a mix of speakers from the sector, both from the UK and abroad, and also speakers with expert knowledge of the night time economy in general. Speakers from the sector will include: Kim Streets, Chief Executive Museums Sheffield; Tatiana Getman, Head of special projects & events, The State Tretyakov gallery, Moscow; Ashlie Hunter, Producer Public Programmes, Art Gallery of New South Wales and Neil Mendoza, Provost Elect, Oriel College, Oxford, DCMS board member and author of the Mendoza Review. And from outside the sector there will be insight from Ojay McDonald, CEO Association Town & City Management and Alan Miller, Chairman of The Night Time Industries Association. The actual content for the conference will highlight the role that after hours events play in the night time economy and what role they could potentially play for museums . The conversation will delve into how the sector develops these events and programmes to be high quality and the best way to achieve this through social activities, the content and charging a fair price. Kim Streets, Chief Executive Museums Sheffield is the keynote speaker from the museum sector and will be giving an overview of the Live Lates programme in Sheffield; how they’ve developed over the last few years and what we’ve learned along the way. She says Sheffield Museums’ Live Lates are a dynamic programme that attracts an emerging adult audience – largely people who have freedom, are digitally active and driven by curiosity and attracted to great experiences. In May DISSENT Live Late saw Museums Sheffield partner with Wordlife and The Folk Forest team to curate an interactive promenade performance event in the Graves Gallery as part of our current Protest and Activism season. September will see late night circus entertainment for adults only in the incomparable surroundings of Weston Park Museum. November – the museums will be teaming up with Sheffield Hallam’s microbiology and STEM teams to mythbust the science behind science fiction in a night of spooky science, art and music. So plenty to look forward to! 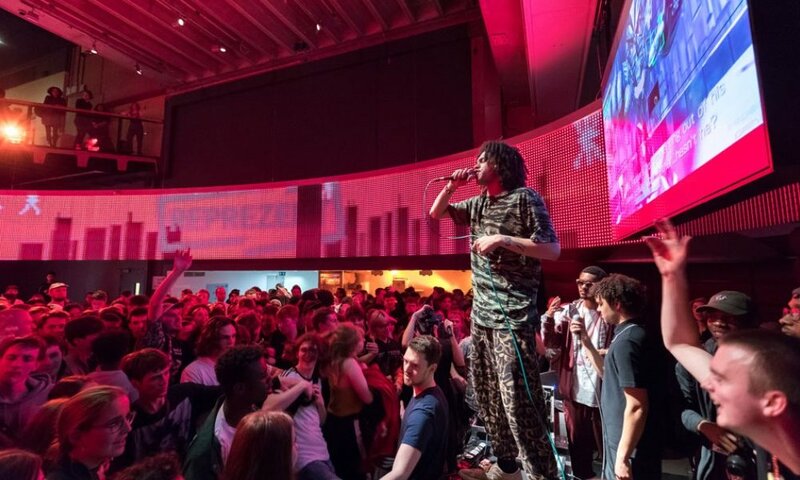 The Sheffield BID is supporting this year’s Live Lates programme – ‘which aims to promote the breadth and depth of the night time economy, showcasing an outstanding cultural, creative experience that’s a little bit different alongside a high-quality retail, food and drink offer in the city’. Museums at Night was established after funding for Museums and Galleries Month, held from 2000-2008, was withdrawn and the creative capital transferred to Culture24. Culture24 feel that the sector, in terms of lates, is at a transition period, a sort of coming of age moment. It’s been almost 18 years since the first lates programme took place in 2001 at the V&A and the ‘Godperson of Lates’ who started it all off will be discussing those early days at the conference. Much of the data about lates in the UK has always resided on the Culture24 system but Stockman says the team has never had the opportunity to interrogate it and reflect on the information the sector has given them. This was the prompt for the research with help from the Art’s Council and the Winston Churchill Memorial Trust, which funded the international research. Stockman travelled to Mexico, Australia and Russia to compare and take notes on the late night events that museums are organising in these places. And delegates from the outside the museum sector have expressed their enthusiasm for the conference by saying it is just what we need at the moment. “Bringing together Britain’s world class museums and galleries to collaborate with our Night Time Industries is game-changing news for the UK,” says Alan Miller, Chairman of The Night Time Industries Association and one of the speakers at the conference. Stockman firmly believes that museums can play a big role in diversifying this economy. He says museums tend to have the kind of events and the kind of pace that provides an alternative to a high street full of bars and clubs, where there may not be a variety of offers. 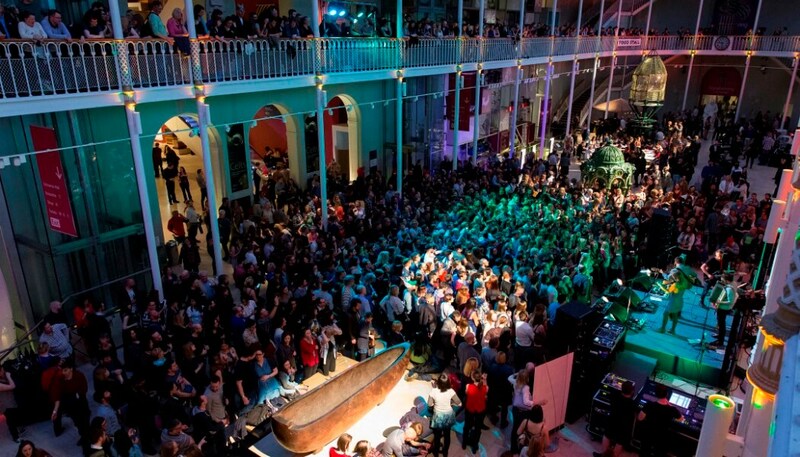 A Culture of Lates: how do Museum Lates build audiences & generate income? will take place at the National Gallery, London this Friday (June 1).